Please complete the form below and one of our friendly staff will be in contact with you as soon as possible. A striking range of seven convection wood heaters, with varied size and capacities, designed to fit into a fireplace cavity. Select a colour to compliment your new wood heater from our modern range of standard surface finishes, or feel free to request a custom colour. Make sure you are ready for winter. Portable gas heater servicing is now available, starting from $110 a service. Welcome to Jarrahdale Heating Midvale. If you enjoy the warmth of wood fires, you’ve come to the right place. Here at Jarrahdale, we are a local family owned business specialising in the supply and installation of slow combustion wood heaters in Perth. Experienced in the heating industry, we guarantee unmatched results, quality, locally made products and exceptional services – all at an affordable price. Through our experiences, we have witnessed firsthand the rising costs of home heating and believe that wood fires offer high efficiency with lower costs. 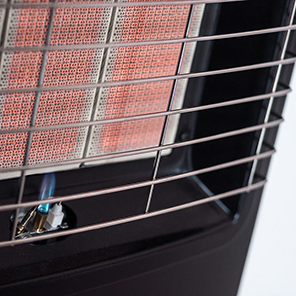 A wood heater will also bring an element of ambience and comfort to any living space within your home, making it a popular choice for home heating. 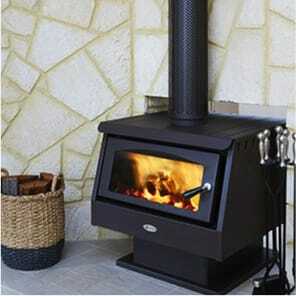 Our range of leading wood burners for sale have brought warmth and comfort to homes in Perth and throughout WA. As an authorized agent, we are proud to offer our leading range of Jarrahdale Solid Fuel Wood Heaters at an affordable price. The showroom, located in the Perth suburb of Midvale, holds the complete range of Jarrahdale Wood Heaters, including convection and radiant models, both freestanding and built-in, most of which are operational. With an extensive range of wood burners and accessories available, we can provide a heating solution for large and small living spaces. All our models are available with various customisations and options to suit the personal style of your home and your requirements. 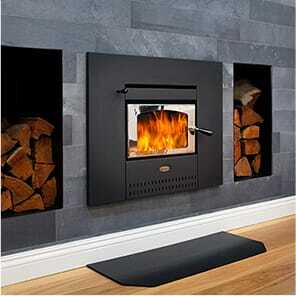 We are also able to manufacture parts of the fireplace and chimney covers to ensure a correct fit into your home. All Jarrahdale, our wood heaters are made right here in Perth, WA, and have been a household name since 1981. Our heaters are made to strict Australian standards and are constructed using locally sourced heavy-duty, all solid-steel. Every heater includes an Advanced-burn Firebox for excellent heat output with lower emissions and comes with the backing of a 10-year, manufacturer direct warranty for your peace-of-mind. 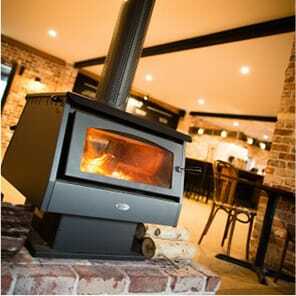 If you want a wood fire heater for your Perth home, we invite you to view our leading range online or in-store. We are passionate about customer service and are readily available to assist you with any enquiries you may have regarding your home heating needs. Get in touch with our dedicated team today! Every wood heater is made locally in WA to Australian Standards AS/NZS4013 using heavy-duty, solid-steel and includes an Advanced-burn Firebox.